Packages of hasty notes with this image are available for $10 including shipping. 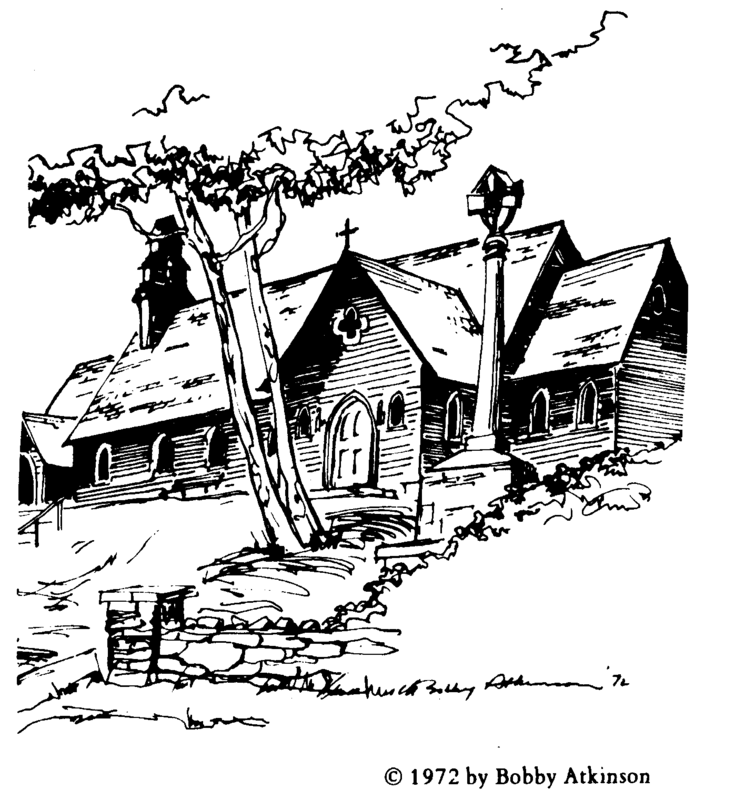 Bobby Atkinson created this pen and ink drawing at the time of the centennial celebrations at St. Peters. She generously allows us to use this image. Bobby’s parents and grandparents were strong supporters and members of the congregation. 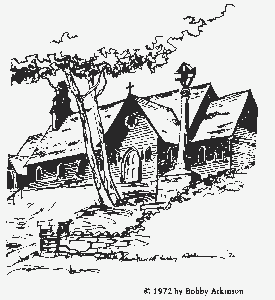 Please send cheque or money order for $10 to Treasurer, St. Peter on the Rock, C/O Mike Harvey, 7 Basildon Cr, Brampton ON L6T 2N1. Be sure to include your name and mailing address. Colour prints (12×14 inches) of a water colour painting by Rev. Tom Ramsay are also available. 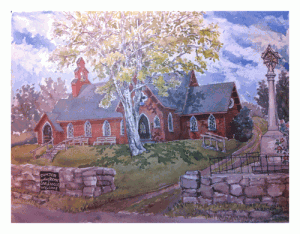 The original painting was created the year before St. Peter’s 125th anniversary. Tom served as our chaplain at St Peter’s for many years. Order now, please send cheque or money order for $30. to Treasurer, St. Peter on the Rock, C/O Mike Harvey, 7 Basildon Cr, Brampton ON L6T 2N1. Be sure to include your name and mailing address.